Security Memetics: I can't see the difference, can you see the difference? I can't see the difference, can you see the difference? 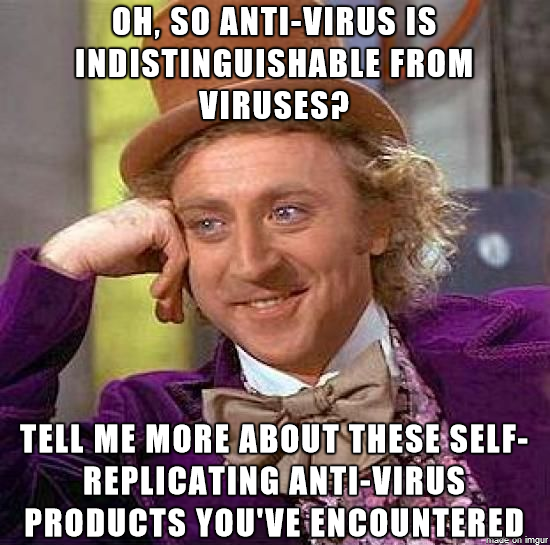 Self-replication is literally the defining characteristic of viruses. You'd think an authority on computer security like Rob Graham would know such a basic fact about such an old and widely recognized security topic.